Google Summer of Code can be the most interesting, challenging and at times frustrating thing you have ever done. The most important thing that I learned while applying was that it is not about how much you know, but more about how much you are willing to learn and how dedicated and genuinely interested you are in your project. This summer I worked with a toolkit called 'Geant4' which is maintained and used by the European Organization for Nuclear Research (CERN) to improve radiation transport simulations. Every time I think about that last statement, I have to pinch myself to make sure it wasn't all just a very elaborate dream. 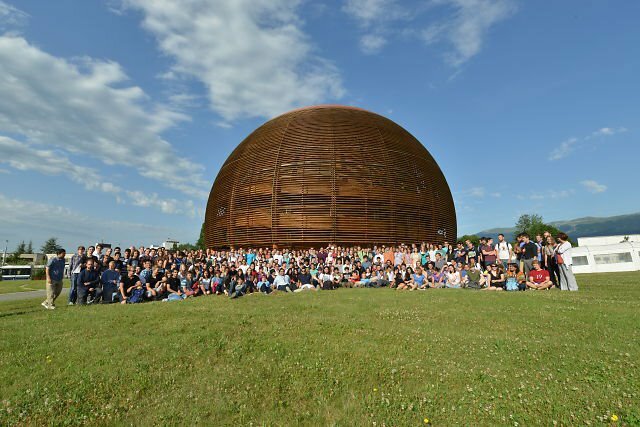 Every year almost 200 students from around the world are selected to go to CERN to work on an internship over the summer. This mix of engineers and physicists are joined by around 15 students from another program called the CERN Openlab and this year the people at the Openlab graciously invited me to work on my Google Summer of Code project at CERN. The question most people want to ask when they find out I’ve been to CERN: Did I see the Large Hadron Collider? The whole ring is underground and no one is allowed near it when it is running because of the amount of radiation it emits. The four major detectors that collect data in CERN are Atlas, CMS, LHCb and ALICE. The 'big' ones which announced the results of the Higgs boson discovery on the 4th of July were Atlas and CMS. These are more general purpose as compared to LHCb and ALICE which are smaller in size but meant for more specific purposes. For me, this was by far the most incredible summer ever! 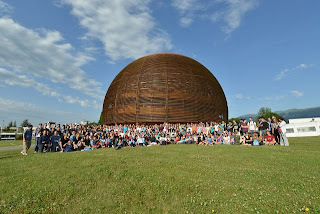 I am extremely grateful to all the people at the CERN Openlab and the people in charge of Google Summer Of Code 2012. If not for their enormous patience in answering all of my questions and requests, this summer might have just passed me by like any other. Instead, now I can tell people that for two years they were searching for the Higgs, and a fortnight after I went there, we found it. Too much of a coincidence, don't you think?